NRC began work on the Ford Road Landfill CERCLA site in August of 2011. 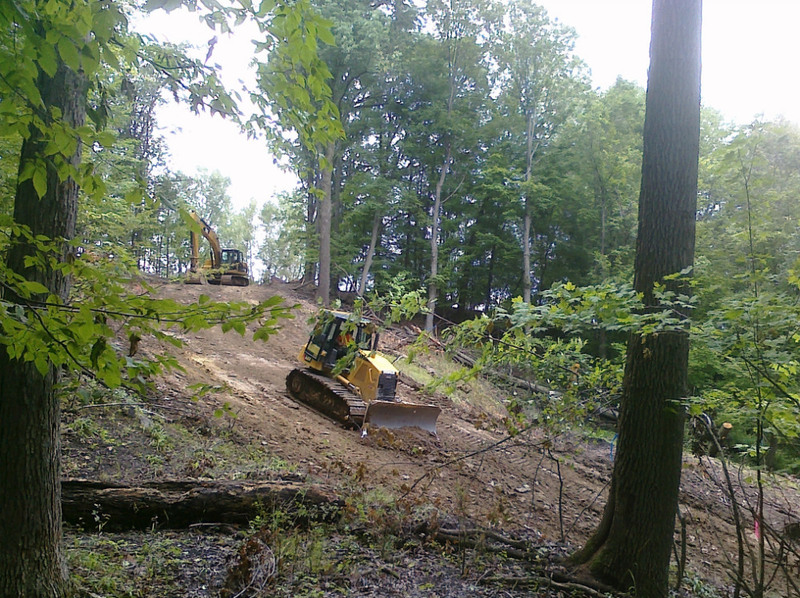 Phase 1 of this remedial project included the construction of a steep slope soil buttress along the down gradient edge of the former landfill, construction of a sedimentation basin and several access roads through very steep and rough terrain. Additional tasks associated with the remediation activities included the installation of a 200 LF cement-slag-bentonite slurry wall, excavation and temporary on-site storage of approximately 4,000 cubic yards of PCB and VOC impacted soil and sediment from the delta, diversion of the Black River, and on-site water treatment of impacted groundwater encountered during excavation activities. 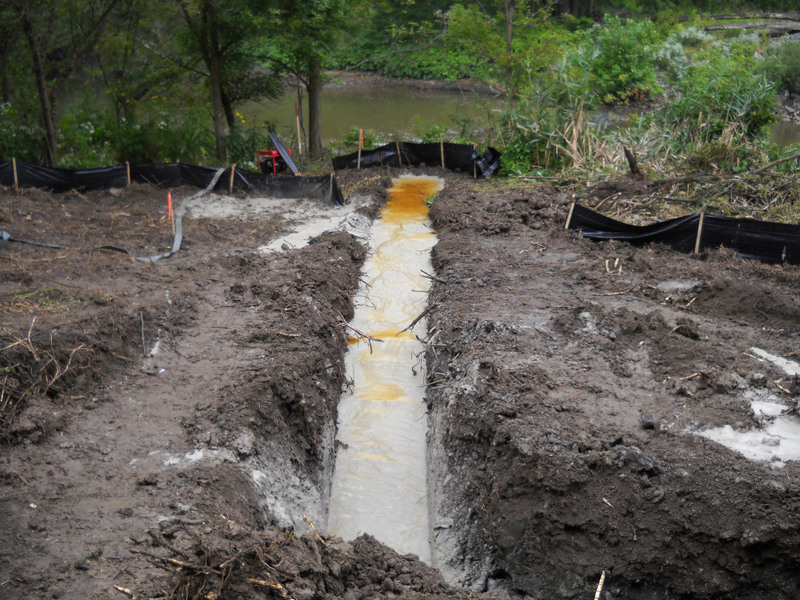 This project was particularly challenging because of the steepness of the remedial excavation and the volatility of the portion of the Black River that we successfully diverted. During normal storm events, the Black River elevation would rise up to 8 feet during an 8-hour period. 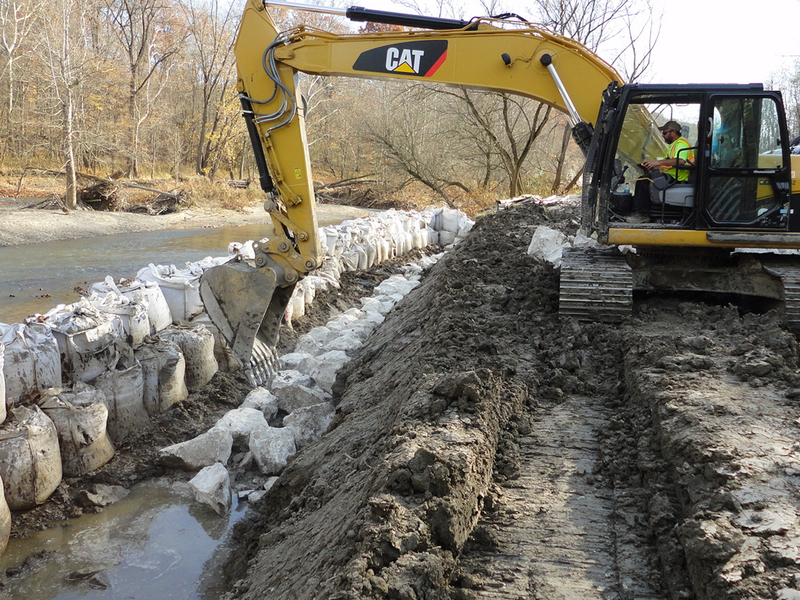 NRC successfully maintained control of the flash flooding using a coffer dam made of bulk bags filled with sand and/or pea stone. The benefit of using this type of coffer dam was that it had a small footprint and it gave us the flexibility to modify the dam throughout the project as needed. 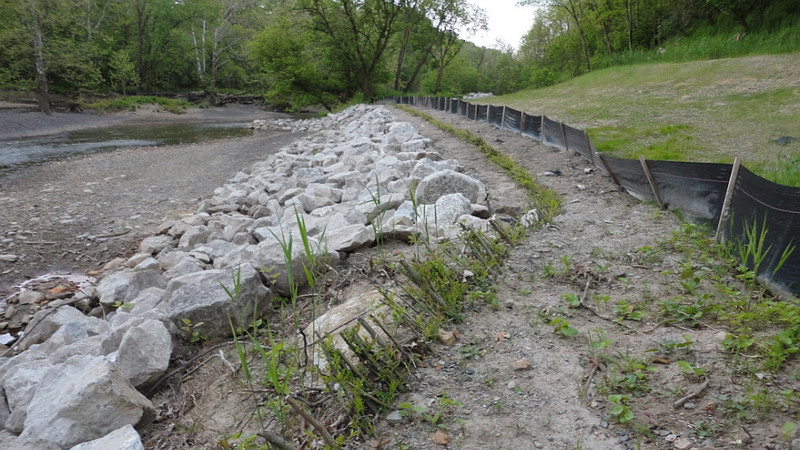 Site restoration included construction of the excavated portion of the Black River bank using armor stone and willow stakes, installation of erosion control matting (GreenArmor and Flexterra Flexible Growth Media), and the application of approximately 150,000 square feet of grass seed. Complex terrain requiring skillful excavation. Diversion of the Black River. Installation of 200 LF slurry wall. 4,000 CY of sediment contaminated with PCBs and VOCs. 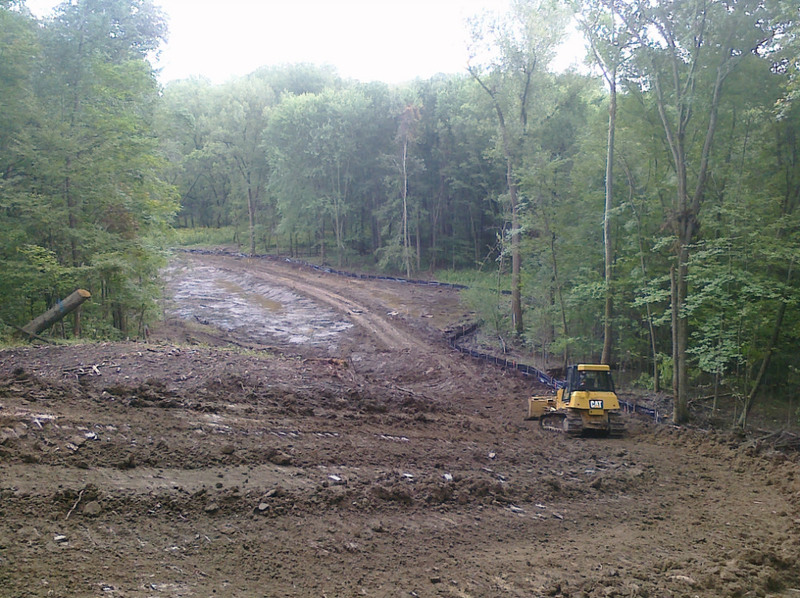 Site restoration including construction of river bank and installation of permanent erosion control.